We’re back with part 13 of Overheard in Product—a series where we round up all of the tantalizing conversations from product folks that you may have missed on the web last week. This week, we talk about the state of software happiness, the difference between human brains and computers, why retention is the new growth, the tradeoff between hiring sales people and writing code, and some facts and advice about productivity. Investor advisor Brianne Kimmel shared some shocking stats from G2 Crowd’s State of Software Happiness Report. Read G2 Crowd’s full report here. 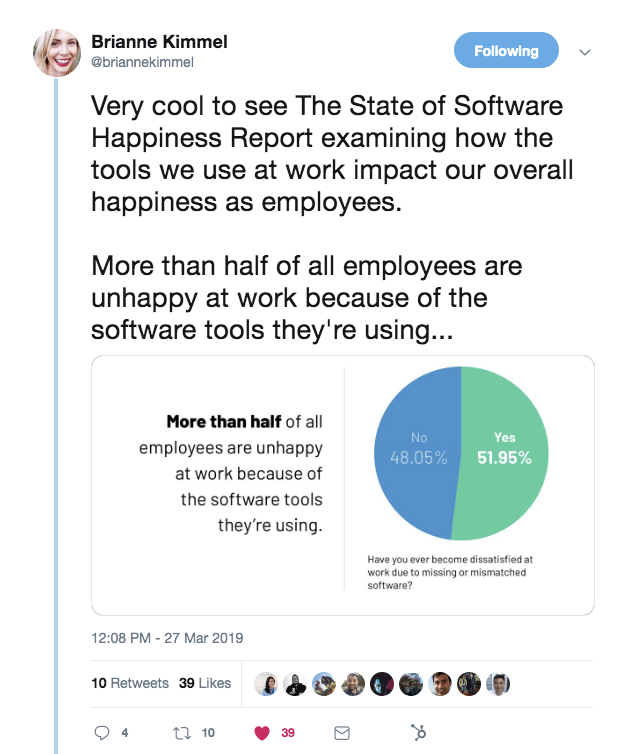 Food for thought: As Brianne suggested, try running an internal survey about the software tools your team uses to see which ones are causing the most friction. 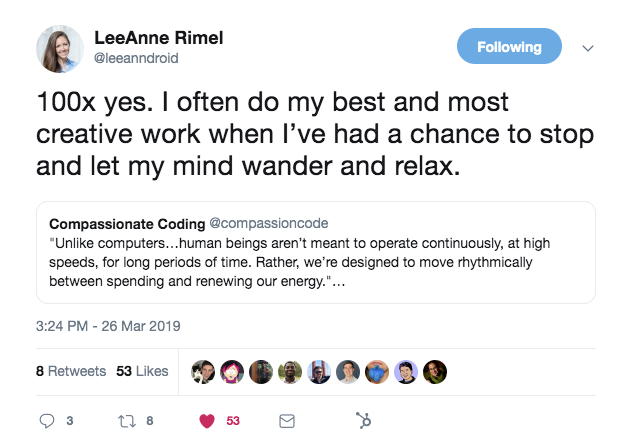 Food for thought: How can you structure your day to move more rhythmically? It’s Q2. Do you know where your retention is? 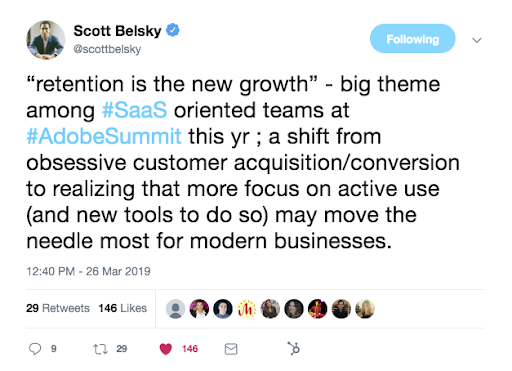 Scott Belsky, Adobe's Chief Product Officer and Executive Vice President of Creative Cloud, shared an observation from last week’s Adobe Summit. CEO of Databox Peter Caputa IV started a discussion about product-led sales (to say the least). Folks chimed in about the synergy between good sales people bringing feedback to the product teams and how this might change (or not) when you’re selling something with enterprise complexity. Food for thought: If your product should be selling itself, does it deserve its own quota? An HBR article shared survey results from ~20k respondents to shed light on the relationship between habits and productivity. Working longer does not make you more productive. Age and seniority are correlated with productivity. Productivity is gender agnostic—but the habits that make productivity possible vary between genders. What habits enabled success? Conscious planning around a few top priorities, being able to organize lots of inbound information and tasks, and emotional intelligence around what their coworkers need.